Gregory Prestegord, 'Green Door', 35.5 x 37, Oil on Panel. Aristotle used three terms to delve into the meaning of representation: object, manner, and means. Applying these terms to the twenty-first century painter, one might have a vibrant, pulsating city as the object, the desire to capture this vantage in a distinctive realist style as the manner, and a fresh palette of Winsor and Newton oils as the means. 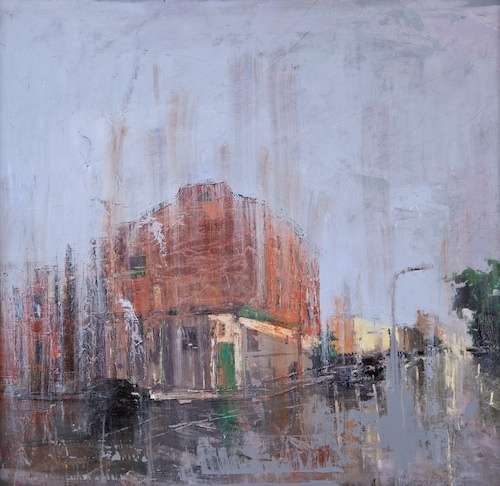 Through representational painting, the artist conjures the electricity and power of a city. In seven sessions we will share our visual experiences with representational paintings, discuss the current reengagement with realism taking place in the art world, and hear from experts whose passions range from the techniques of the Dutch Masters to the camera obscura and from John Singer Sargent to the use of the iPhone 5 in capturing images for painting. Expect several prominent guest lecturers and at least one excursion as the seminar advances. Open minds and spirited conversationalists desired. James Welu, Director Emeritus of the Worcester Art Museum, has the unique perspective of someone who trained as a studio artist before entering the world of art history and eventually specializing in seventeenth-century Dutch and Flemish art. With many con-temporary representational painters focusing on the aesthetics and skills of the Dutch Masters, Jim will share his knowledge of the period and its immortal marks on the production of art. 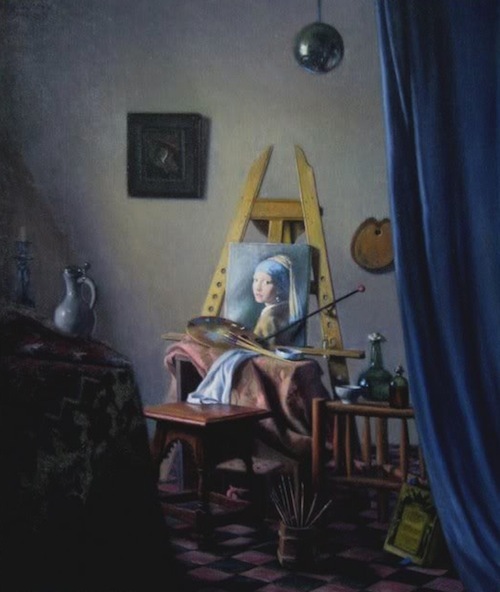 David H. Lowrey, 'Vermeer's Studio c. 1667', Oil on Canvas. 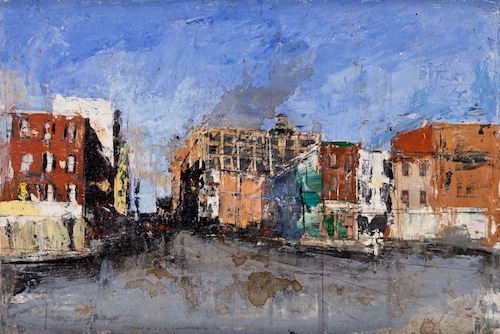 David Lowrey, Fenway Studios artist, preserves the tradition of Boston’s finest realists – Benson, Paxton and Tarbell – through traditional painting. David has built working models for the camera obscura, which he employs in his creative process and we will experience during his guest lecture focused on the enduring techniques of artists past. Joseph McGurl, a graduate of the Massachusetts College of Art, has been referred to as one of the acknowledged leaders in the current American landscape school. Joseph's paintings are often seen in relationship to the great 19th century luminist painters but with a thoroughly modern approach to style and subject. For him, the process, rather than the product is the most important part of a painting. Rather than relying on photography, this method gives him the freedom to create paintings based on his imagination, memory, and his sketches. Joseph McGurl, 'Last Light, Winter', 19 x 33, Oil on Canvas. Gregory Prestegord, a graduate of the Pennsylvania Academy of the Fine Arts and youngest artist featured at Sloane Merrill Gallery, will discuss his desire to paint real visual experiences and his elaborate use of the iPhone camera as a tool. Be prepared for a studio demonstration in the gallery. Gregory Prestegord, 'Spring Garden Ridge', 16.5 x 24, Oil on Panel. Ali Ringenburg has a strong commitment to the tradition of representational work and the artistic profession. Before opening her gallery, she worked with Nashville-based interdisciplinary artist Adrienne Outlaw, at the Cincinnati Art Museum and the Contemporary Arts Center, and most recently was the director at Principle Gallery in Alexandria, Virginia. She holds a BA in art and art history and English literature from Vanderbilt University in Nashville, Tennessee. For more information on how to get involved with Beacon Hill Seminars, please visit their website. Seminars are open to all Beacon Hill Seminars members. Registration closes Wednesday, January 16th. We are so looking forward to hosting the seminar!